of the end of Nazi tyranny and freedom in Europe. Of those who fought there, few remain to tell their stories. It is fitting that we continue to honor their sacrifices and heroism. 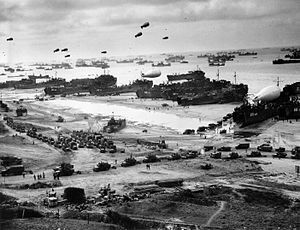 Allied forces consisting of American, British and Canadian troops made up the main invasion force of over 160,000 ground combatants. Allied Navy and merchants ships numbered more than 5,000. 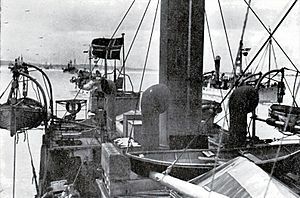 Ships provided transportation and gunfire support during the invasion. 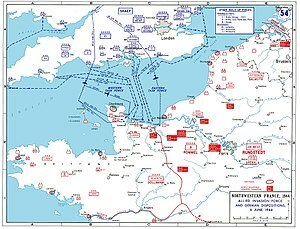 At midnight before the amphibious assault, Allied Aircraft and gliders inserted almost 8,000 paratroopers behind enemy lines. This represented the largest armada and invasion force in history. Weather and timing were critical to the success of the mission, so was deception. It had taken nearly five years to reach this point in a war that began in September, 1939 with the invasion of Poland by Nazi forces. 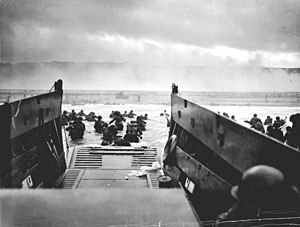 This truly was the start of the liberation of Europe. Total Allied casualties were approximately 12,000; again, freedom isn’t free. At Pointe du Hoc, German 155mm guns threatened assaults on Utah and Omaha beaches. great feats of arms of the Normandy invasion. Rudder, a native of Eden, Texas, had served in the army in the 1930s and was recalled to duty during World War II. He became commander and trainer of the elite Second Ranger Battalion in 1943. On D-day Rudder’s Rangers stormed the beach at Pointe du Hoc and, under constant enemy fire, scaled 100-foot cliffs to reach and destroy German gun batteries. The battalion suffered higher than 50 percent casualties, and Rudder himself was wounded twice. In spite of this, he and his men helped establish a beachhead for the Allied forces. In later life Rudder became president of Texas A&M. In 1967 he received the Distinguished Service Medal from President Lyndon Johnson. Re-Blog of a tribute to those whose heroism and sacrifices lead the way to the defeat of Nazi Germany and helped us ensure freedom in the western hemisphere. It’s been said, “Freedom isn’t free.” The Normandy Invasion, commonly called D-Day, signaled the beginning of the end of Nazi tyranny and lead to victory in Europe. Of those who fought there, few remain to tell their stories. It is fitting that we continue to honor their sacrifices and heroism.